A Locker, as the name suggests, is a cupboard that can be locked. It is meant to keep one's belongings safely. In a hospital, these lockers provide an advantage of vertical space utilization also. They meet the requirements of storage and retrieval. GPC Medical Limited, the internationally known manufacturers & exporters of hospital equipment, offer Hospital Lockers, in addition to a wide range of hospital furniture items, in different sizes, heights and types. They are available with and without castors. 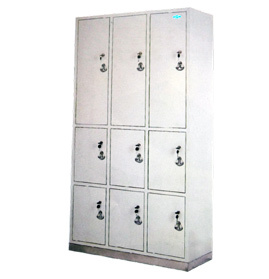 In fact, these Lockers are produced as per the customised requirements. Highly sturdy and durable, they are fully secure against fire & theft. Known for the superior quality, our Hospital Lockers are regularly exported to many different countries. 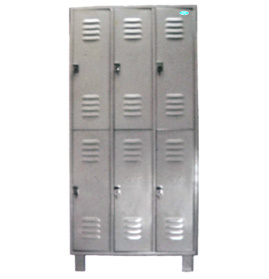 Send Your Buy Requirement For "Hospital Lockers" AND Get Quote Quickly.